Dr. Nguyen is a California native. She grew up in Ontario, California and pursued her undergraduate degree in Biological Sciences at the University of California, Irvine. She received her Doctor of Dental Surgery degree from the University of California, San Francisco. After graduation, she returned to southern California to practice. Dr. Nguyen meticulously strives to produce clinical outcomes of the highest quality. 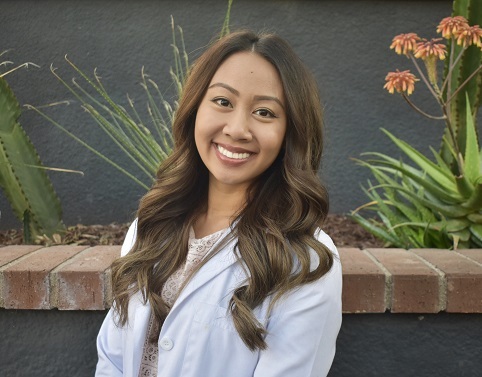 She is committed to creating positive experiences for all of her patients. She is passionate about promoting oral health, and has participated in several overseas humanitarian trips to serve those in need. She is a member of the American Dental Association and the California Dental Association. She married to her college sweetheart of 11 years. They have a spunky miniature dachshund named Cruiser. She enjoys cooking, eating and travelling to tropical destinations.